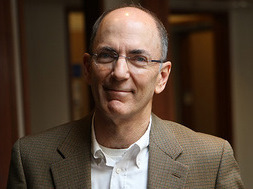 Charles Clotfelter is the Z. Smith Reynolds Professor of Public Policy and Professor of Economics and Law at Duke University. His book, “Big-Time Sports in American Universities,” will be published in May 2011 by Cambridge University Press. He is the author or coauthor of five previous books on topics including university economics, school desegregation, and state lotteries. At Duke he has served as vice chancellor and vice provost. He likes playing squash and golf, and he enjoys watching college sports.